Nationwide Hotel and Conference Center is a unique blend of residential comfort and five-star luxury, set on a 15-acre hotel campus; with 192 guestrooms and suites, including both an indoor and outdoor pool. Description Nationwide Hotel and Conference Center is an all-inclusive meeting destination like no other. Located on a 15-acre park-like setting just minutes from the city’s finest shopping, dining and entertainment, Nationwide Hotel and Conference Center is an inspiring oasis that offers every imaginable amenity in one place… a full-service conference center, a separate dining room with award-winning cuisine, a luxury hotel, charming pub, unique recreation and entertainment options, relaxing courtyards, poolside patios and service that is second to none. From the first agenda item to the final wrap up, we make every detail our business so you can focus on yours. You’ll enjoy access to our dining and collaboration areas to refresh, refuel, and keep the conversation alive outside the four walls of your meeting room. Endorsed by the International Association of Conference Centers (IACC), Nationwide Hotel and Conference Center is a multiple recipient of the industry’s most coveted awards, including the TripAdvisor Certificate of Excellence, Planner’s Choice by Meeting News, and voted by Columbus CEO Magazine’s the Best of Business Meeting Space/Conference Center. Space Notes Our highest priority is to provide an unparalleled meeting experience for every guest, every time. 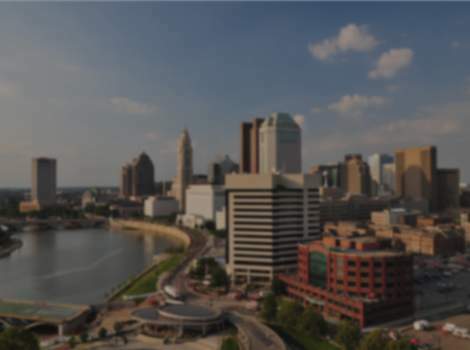 Our Columbus meeting venue boasts a combined 35 conference and breakout rooms. Our meeting rooms feature ergonomic furnishings, tables with non-glare tops, tackable and writable wall surfaces, adjustable light levels and individual climate controls. We have a professional audio visual expert on staff to assist you in conducting the most sophisticated meetings including computer workshops and multimedia presentations. A full-service business center and meeting concierge is at your disposal. We assign a professional conference planner to each event to ensure that every detail is executed to your complete satisfaction. Our commitment to providing outstanding service is evidenced by our 95% Overall Customer Satisfaction record.